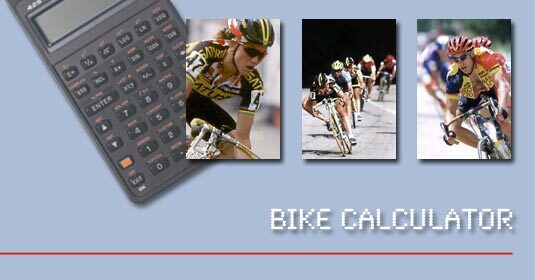 The calculator on this page allows you to enter parameters for six ride segments. You could use two segments to represent a climb and then a descent, as the default values depict. Use more segments for a more complicated course. This version has you enter the power you use for each segment; speed is calculated. We'll soon have a version for entering your speed for each segment. A version for US units is here. Each segment will be calculated based on a constant grade (climb divided by the distance). You can enter negative numbers for descents and tailwinds. Calories and weight loss are based on the effort expended; basal metabolism is not included. Predictions are in red, above and below.